Great for the Holidays and a perfect “Old World Italian Dessert!” It is my Grandmother’s recipe! You can always double the ingredients and make more! Add cooled melted butter or margarine, and vanilla and anise. 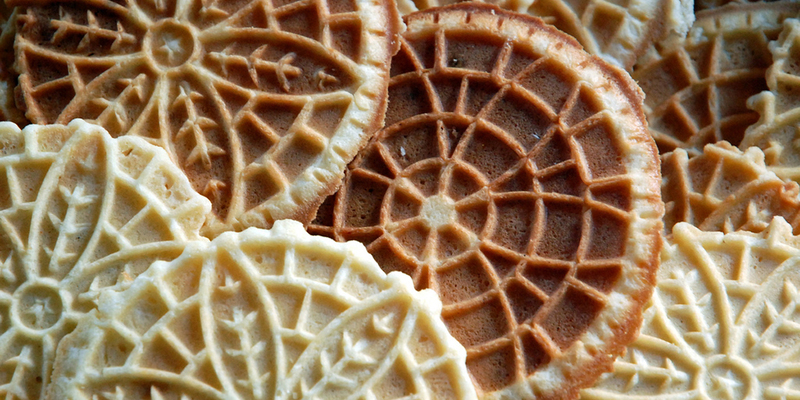 Bake in pizzelle iron for approximately 30 seconds or until crisp.